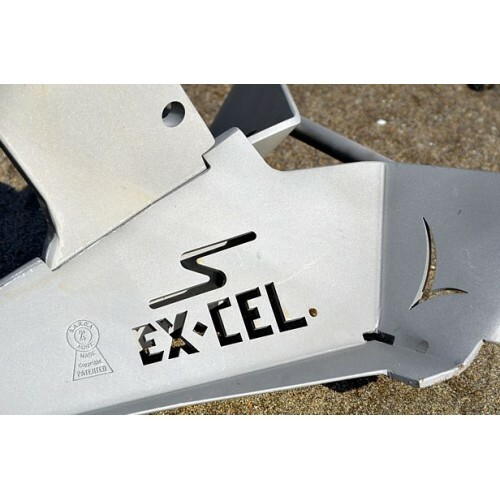 In response to multi requests from multihulls and race yachts came this aluminium demountable version of the original Excel steel anchor. The same physical size, the same massive performance as the original steel model but with the added benefit of lighter weight and the ability to take the shank out for easy storage. It features a removable shank that can be assembled in minutes. The anchors shank is fed in from under the fluke to ensure that it is not reliant on any bolts. The 2 bolts each anchor does have simply keep the shank in place while you move it around, as soon as any load comes on the shank the bolts are redundant. 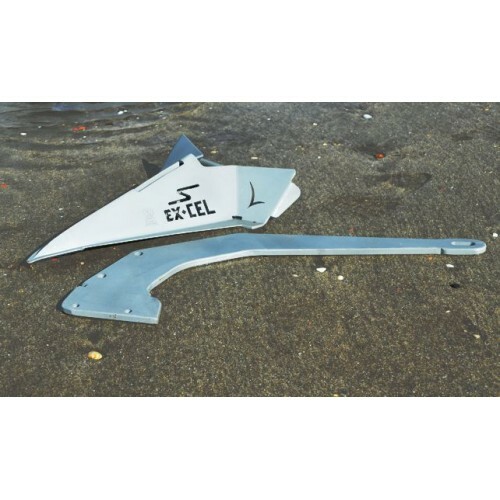 Another major feature is for the first time we have an alloy anchor that does not suffer from loss of tip weight. When comparing holding power results from the unique T.A.T.S. 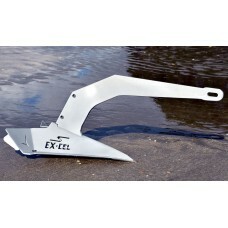 machine, SARCA Excel is doubling the holding power of the best anchors the world has to offer. SARCA Excel's distinctive and astounding aesthetics designed in mind to enhance the new generation of super yachts. It will fit all bowsprit and internal pull-pit anchor housing arrangements. Excel has many attributes of the Super SARCA giving it unrivalled ability to perform in many types of ocean floor substrate. The Excel will eliminate all of the problems that you have with your hoop style anchor, to start with the Excel will fit just about any pull pit or bow roller anchor release and retrieval arrangement. The Excel doesn’t need a hoop as it is self righting and self aligning, Excel is of convex design not a mud bucket, to further aid the cleaning and setting of the anchor the very name Excel and where it is situated allows water to pass through when penetrating the ocean floor reducing resistance and marginally improving the anchors performance, yet upon retrieval the Excel name allows water to pass through these apertures alleviating the sticking and compressing of mud, end result a clean anchor on retrieval. Low centre of gravity self rights and keeps the toe hunting continuously to take advantage of the ocean floor. 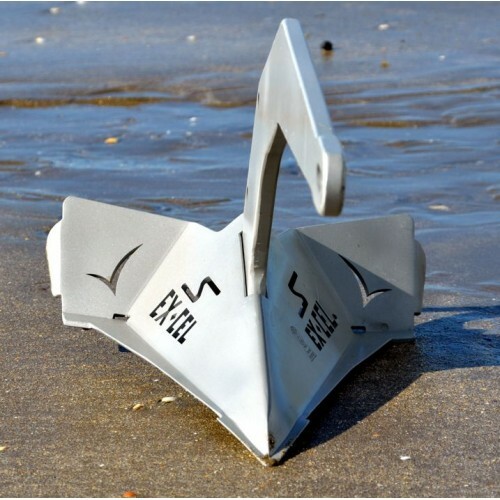 Full range of anchors have been tested for Super High Holding Power (SHHP) certification.